The Suzuki Zeus comes equipped with a streamlined aerodynamic body and impressive features. Read on for its technical specifications, latest features and price. Let's face it, it isn't easy driving on Indian roads and in traffic the way we see it in our country. Very rarely do we run into bikes that perform well and also boast of a shape that can easily be made to weave through heavy traffic(!). Most people have to bear with bulky and huge motorbikes. Thankfully, Suzuki introduced Suzuki Zeus, which is a 124cc bike that sports a slender aerodynamic design, which makes it look smaller and also renders it the capacity to weave through the traffic. Some of its most notable features include a state of the art 5-speed gearbox, Primary Kick & Auto Decompression System, which lets the user start the engine in any gear and powerful, asbestos-free disc brakes in front. 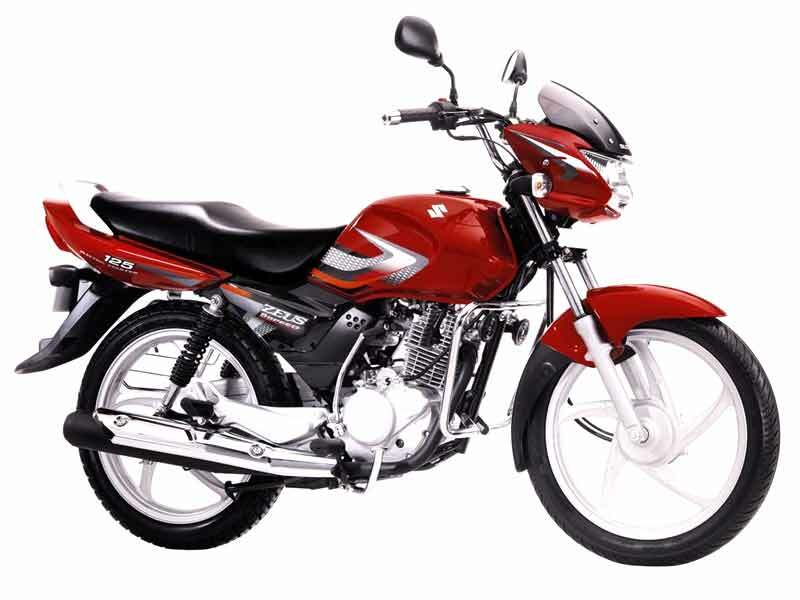 Letting its features speak for themselves, the Suzuki Zeus' sole cylinder measuring 124cc boasts of cooling facilities. As has already been mentioned, the auto decompression system that this bike is equipped with makes starting it easy in almost any condition. One feature that makes it stand out as meant for the Indian roads, is the fact that it renders a torque of 10Nm at the low speed of 3500rpm, which offers better control. This bike also boasts of maximum fuel efficiency with a shift indicator. The Suzuki Zeus, though it is a commuter's bike, is definitely more aesthetically appealing as compared to other commuter bikes coming under the 125cc bracket, which are often written off as dowdy looking or unimpressive in design. Its streamlined and fluid design, alloy wheels, front cowl appearance and disc brakes render it a shape that could easily be accepted by the average Indian. No bike can be accepted into the homes of the largest democracy of the world, if it is not easy to ride and comfortable to sit on. The Suzuki Zeus bears an ergonomically enhanced seat that requires minimum knee bending by the user. At a mere 114kg, this bike indeed seems to be made for Indian roads. Giving commuters a much needed break from the ugly helmet locks that is responsible for spoiling the beauty of many a bike, the Suzuki Zeus gives users a helmet holder. 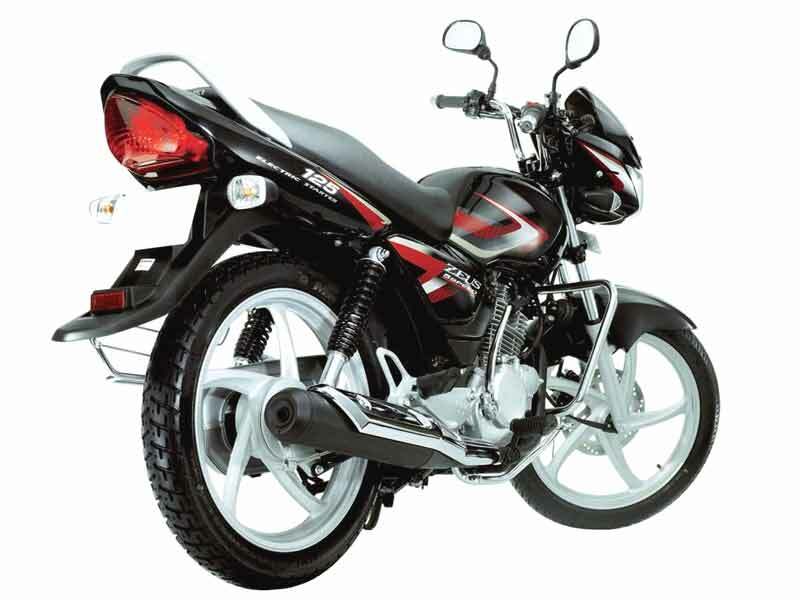 Available in three different variants, Suzuki Zeus delivers an average mileage of 64-66 kmpl. There are three colours that the Suzuki sports � Candy Antares Red, Metallic Titanium Gold and Pearl Nebular Black.